Great middle grade unicorn fantasy! 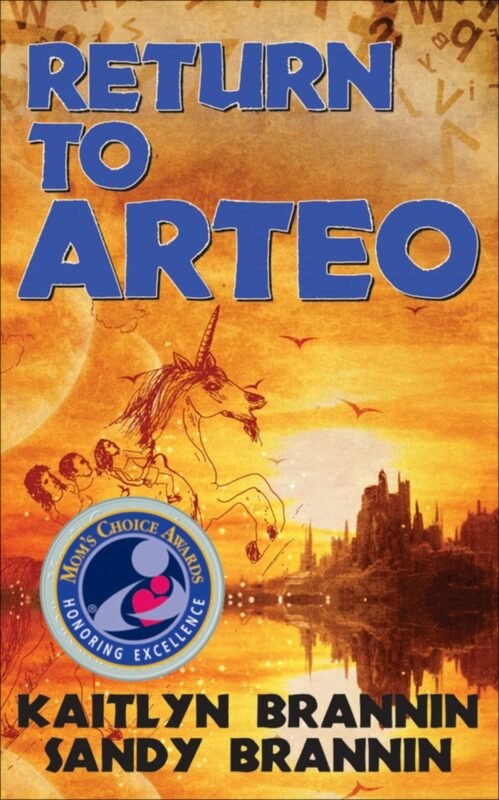 Return to Arteo is a wonderful story of friendship. Katie and Mike are missing their new friends on far away Arteo. Solomon, the unicorn, makes a surprise visit to Katie and Mike and they take their little sister, Sara, back to Arteo to help rescue some of their friends from the evil wizard, Ramus. When they arrive, they see Arteo is now a dark and depressing place because Ramus is trying to take over the world and has enslaved the grownups in his castle. A riveting sequel to Arteo, new readers and fans alike will enjoy this fast paced chapter book for the younger set. Kaitlyn Brannin, nine-years-old, and her mother, Sandy, pen their second book about the world of Arteo. Kaitlyn is in the fourth grade and loves to read, play sports, and enjoys being creative. Sandy Brannin is a full time physician and enjoys helping the children in her community by coaching and being active in her family’s extracurricular activities. Kaitlyn and Sandy have visited many classrooms since their first book, Arteo, was released in 2009. They speak at conferences and also conduct workshops. They were featured at Book Expo America in New York City, May 2010. They live in Charleston, WV. with Rich, husband and father, Kaitlyn’s brother, Michael, and sister, Sarah.